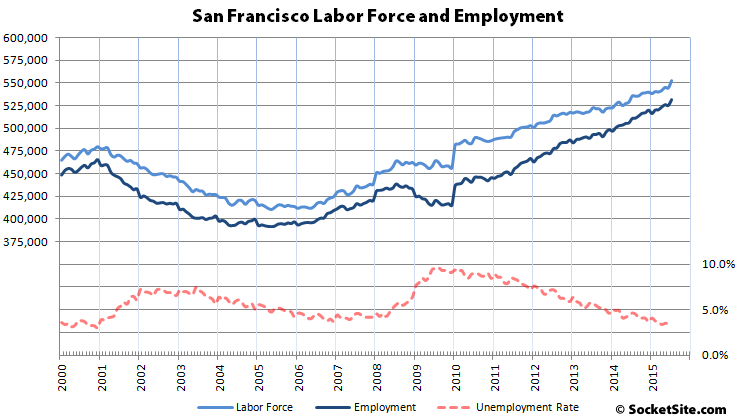 Having slipped by about a thousand in June, the number of people living in San Francisco with a job jumped by 6,500 in July and now totals a record 532,100, up 20,900 versus the same time last year and an increase of 95,400 since January 2010, a 22 percent jump in under six years. 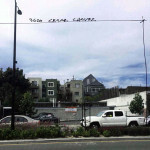 There are currently 66,600 more people living in San Francisco with paychecks than there were at the height of the dot-com peak in 2000, at which point the unemployment rate measured 3 percent with a labor force of 480,000 versus 553,000 last month. The current unemployment rate in San Francisco measures 3.8 percent, up from 3.5 percent in June but down from over 10 percent in January of 2010, according to data provided by California’s Employment Development Department. East Bay employment increased by 7,400 to a record 1,309,600 in July, up 30,700 versus the same time last year with employment in Alameda County, which includes Oakland, jumping by 4,500 to a record 785,000, up 18,600 year-over-year. 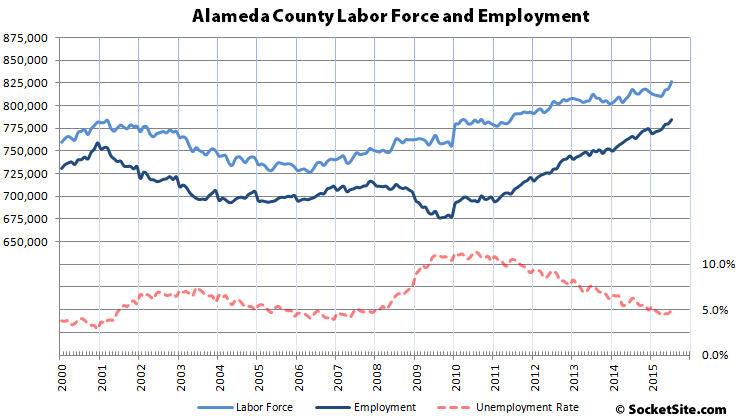 The Alameda County unemployment rate currently measures 5.0 percent, down from 6.3 percent at the same time last year and versus 11.2 percent in January of 2010. The unemployment rate in Marin County ticked up from 3.4 to 3.7 percent in July and from 3.3 percent to 3.6 percent in San Mateo. The un-adjusted unemployment rate in California ticked up to 6.5 percent. The economic engine keeps chugging along. Remind me why we’re not using this wealth to finance a massive housing boom again? Or massive infrastructure improvements, with bond interest *still* at near-record-low rates? Or rebuild our parks, whose funding was so drastically cut during the recession? Just where is all the revenue going?! Every time I walk by City Hall there are catering trucks unloading. At least someone is having fun. People do rent out the space for weddings and private parties, you know. So not every catering truck is there supplying dinner to the supes. It’s going to further inflate the price of the limited stock of existing housing. I’m deeply disappointed that in this unprecedented economic moment we have no vision for the city or the region. We’re planning to float a BART regional bond for… maintenence. Where’s the second transbay tube. Where’s the massive rezoning to incentivize housing like Bloomberg did in NYC. Instead we get platitudes from Ed Lee about how great AirBnB is. What is with the jump in 2010 in both graphs? Was there a change in how these numbers are measured? That was the census year…maybe something related there?